I am working to include other companies and transition away from Amazon affiliates due to some of their ethical practices. → This ebook made for those who want to read a compilation of anatomy articles and resources in a cleaner, offline format. It also includes some master posts not seen on the art-res site. It will be updated as time goes on. If you already purchased it, please email me! Once you have the link, the book will be edited in place and can new versions can be accessed with the same link. → Note: no external resources or images are posted, only a link to the original source so 100% of the traffic is viewed on the creator’s social media/original site. → I made this tutorial to help me learn how to draw arms more accurately. I’m hoping this reference can help some of you! → This purchase is a layered PSD file, where you can open it in all major platforms including GIMP and Krita). → I organized the bones/muscles/notes onto different layers so you can toggle and hide things to learn more. 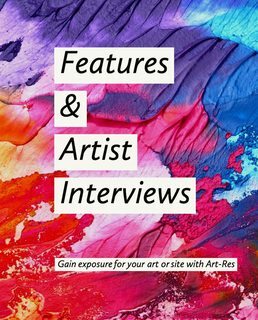 → Sponsor Art-Res with an Art Feature or Interview to a quickly growing audience. See [this for a live follower count](https://followercounter.co/blog/art-res). You can also advertise other things, as long as they relate to a creative field. → For more info, please contact via email for a quote!